The PowerHouse Alliance 11 distributor members have announced their April schedules, including a focus on display product training and a Mountain West’s Annual Dealer Show. Ui Supplies starts with TechLogix Fiber Certification on April 1 and 2 at their Clifton, NJ and Plainview, NY, locations, respectively, as well as Sonos, eero, and Samsung 8K Showcase sessions throughout the month. Sierra Select welcomes dealers to see Samsung’s new models at its North Highlands, CA location on April 9 and at the Hilton Oakland Airport on April 10. CED is offering LG & Samsung training on April 2, on the newest display products including an 8K live demo. Dealers can also take JVC training with Vanco and Séura to learn about new 4K projectors and outdoor screens, accompanied by food, drinks, and demos on April 23 in Elk Grove Village, IL and on April 24 in New Berlin, WI. 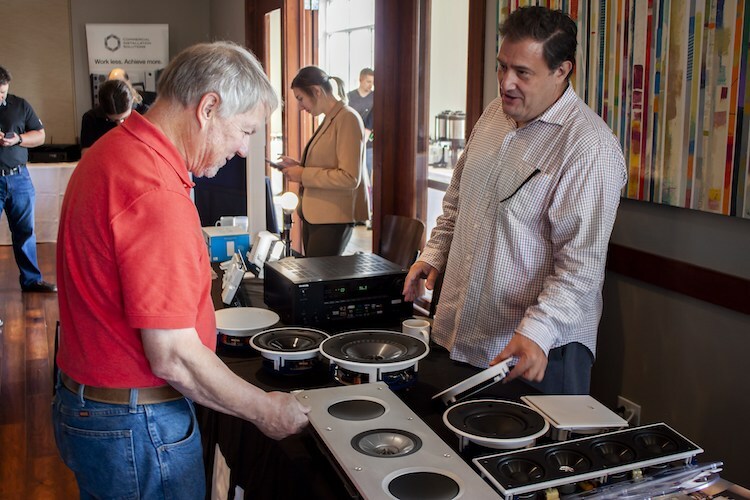 Two members are bringing KEF trainings, with a KEF Vendor Day at ECD’s Houston, TX, location on April 2. In Atlanta, GA, member 21st Century Distributing will have KEF wall display and counter days on April 29 and 30, and they’re also offering Intellinet Network Solution counter days later in the month. In addition to AV, networking, and security trainings, member Mountain West hosts their Annual Dealer Show on April 24 from 11:00 a.m. through 5:00 p.m., inviting dealers near Denver, CO, to attend for new products demos and meetings with manufacturer representatives from WyreStorm, Xantech, Firstech, JVC, Metra, Dynamat, 2GIG, Hikvision, Kwikset, LeakSmart, LiftMaster, Yale, Peerless-AV, Pro Control/RTI, Russound, Samsung, URC, Just Add Power, LG, Lutron, Luxul, Middle Atlantic, Sonance, Sonos, Sony, and Legrand. After the event, attendees can join the Mountain West team for food and drinks and some fun at Top Golf in Centennial, CO, from 6:00 p.m. to 9:00 p.m.